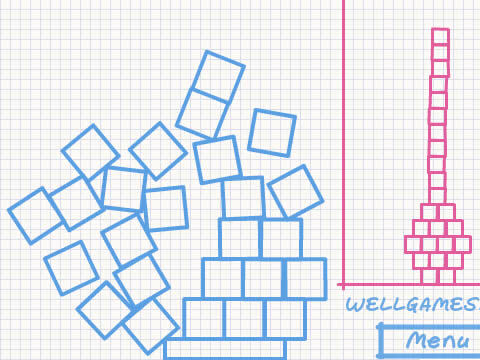 Are you already a skilled tower builder? 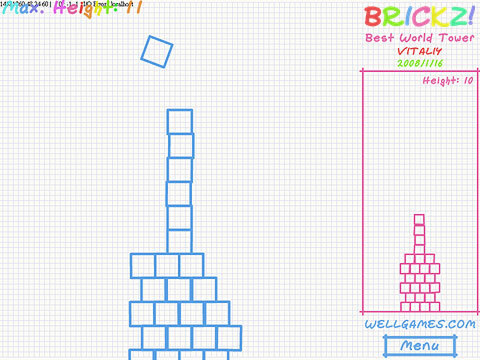 Have you met the challenge of the game Brickz! 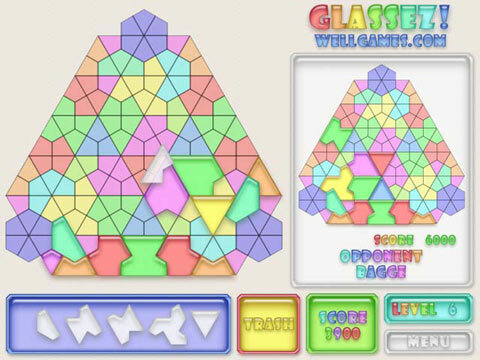 by Wellgames.com? 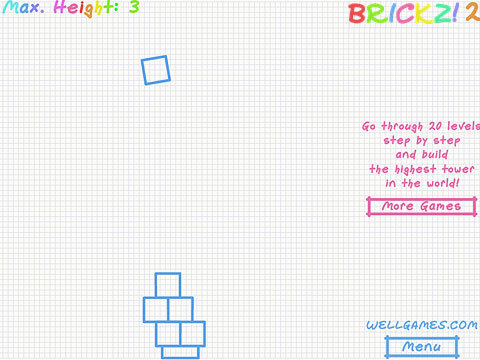 Try a brand new addicting sequel of this famous flash game – Brickz! 2 Step by Step! 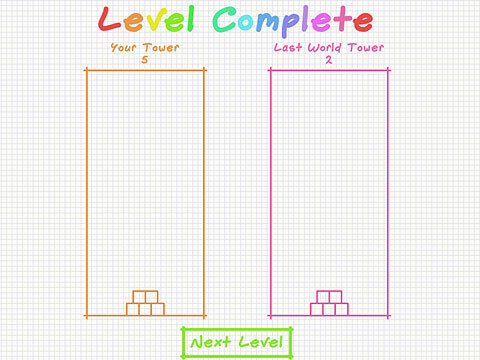 Master your skills building higher tower step by step, level by level! Brickz! 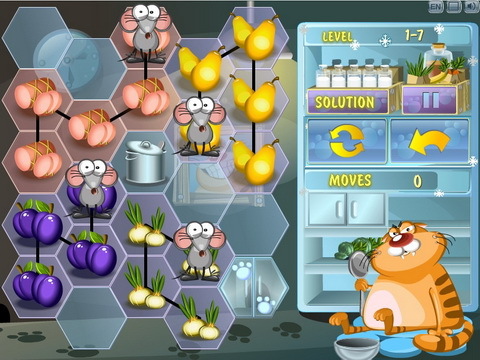 2 Step by Step brings you more levels, more cubes and higher towers! There can be the only one Brickz! Master in the world! Enjoy it in your spare time for free and master your logic skills. 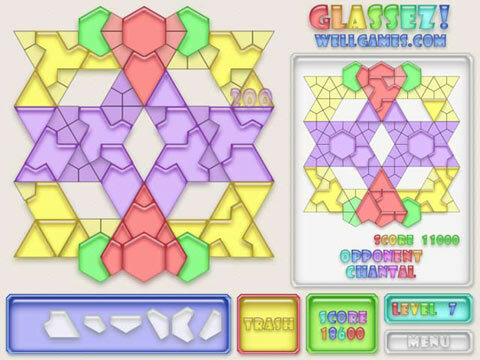 This puzzle presents you a great idea, which is built on the ancient Chinese learning game. 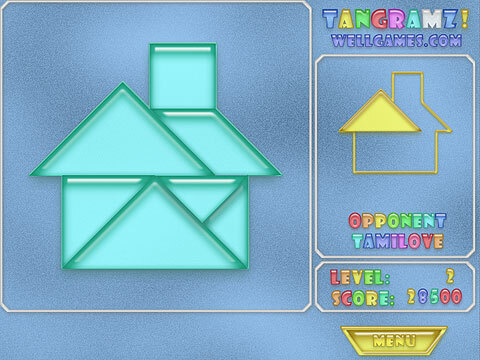 Your task is to make up a figure from variously shaped pieces. Take the pieces from the line below and put them to the pattern in order to fill it in. The amount of pieces is limited, so you need to find the right place for each part. Remember that the figures must not intersect each other. 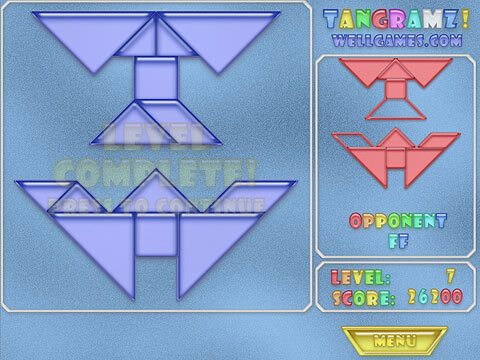 Meet new great patterns every level. 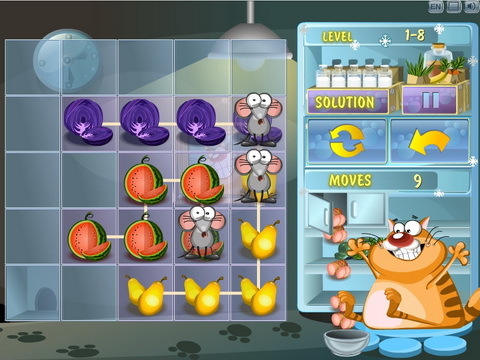 Play free online, compete in a multiplayer mode and have fun!